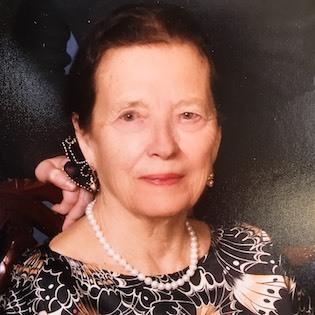 CAROLINE THERESA SERGIO, age 82, of Saddle Brook passed on Sunday, April 7, 2019. Caroline is the beloved wife of Phil Sergio, loving mother of Carol Ann Frazier and her husband Scott, grandmother of Christopher Sergio and his wife Ashley and Steven Sergio and his wife Loren, great-grandmother of Andrew Sergio and soon to be great-grandson Dominic. Caroline is also survived by her dear brothers, Vincent Cercone and his wife Susan and David Cercone and his wife Eileen, and her sister-in-law Lucille Sergio. Funeral mass to be celebrated on Thursday, April 11th 10:30am at St. Philip the Apostle Church, 488 Saddle River Road,Saddle Brook. Private cremation to follow. Arrangements from Kugler Community Home For Funerals 311 Fifth St. Saddle Brook, NJ (973) 478-2500. 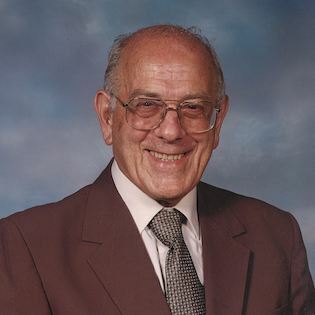 CHARLES J. SUTERA, age 97, a lifelong resident of Saddle Brook passed on April 2, 2019. 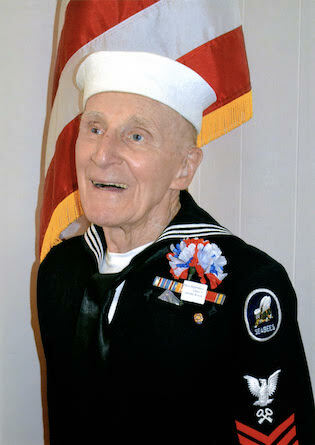 Charles was a United States Army veteran serving during WW II and a former POW (Prisoner-Of-War). Charles's military decorations and citations include, Combat Infantry Badge, American Defense Service, Good Conduct and Bronze Star Medals. He was a member of Saddle Brook VFW Post 3484, American Legion Post 415 and was honored as Grand Marshall of the Saddle Brook Memorial Day Parade in 2011. Charles was also a longtime automobile mechanic and owned and operated one of the first gas stations in Saddle Brook. Charles is the beloved husband of Edith Sutera (nee Ferguson). He is the loving father to Charles Sutera and his wife Ruth, Anthony Sutera, and Brian Sutera and his wife Kathy. Dear grandfather to Chuckie, Richard and the late Christopher Sutera and great-grandfather to Dylan and Brooke Sutera. Gathering and visiting hours at Kugler Community Home For Funerals 311 Fifth StreetSaddle Brook on Saturday, April 6, 2019 from 11AM-1PM. Funeral service to start at 1PM. Burial to immediately follow in George Washington Memorial Park Cemetery, Paramus. 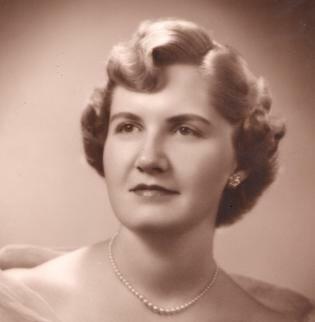 DOLORES MONASH, age 85, of Garfield passed on March 26, 2019. Beloved wife of the late Joseph Monash. Loving mother to Suzanne Conklin, Sharon Levy and her husband Jay, Donna Frustieri and her husband Jerry, and the late Jodi Sue Monash. Dear grandmother to Katelyn Levy, Ethan Levy, Christopher Peterson, and Alyssa Frustieri. The family will be forever grateful for the friendship, love, and compassion provided by her longtime caregiver Olive. 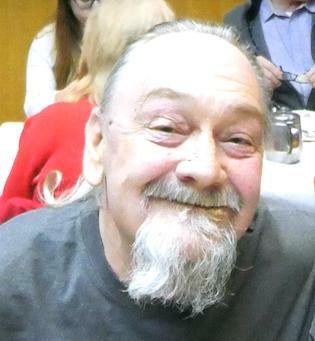 KEVIN BETZ, age 64, of Saddle Brook passed on March 24, 2019. Kevin is survived by his sister Susan Radleigh and her husband Raymond and nieces Jillian, Lily, and Gina and his dog, Toby. He also leaves behind dear friends Kenneth Mitchell, Bob Mather, Sharon Paterno, Vivian and Russell McDonnell. Gathering and visiting hours at Kugler Community Home For Funerals 311 Fifth StreetSaddle Brook on Thursday, March 28, from 3-8PM. Burial private. In lieu of flowers donations can be made to Helping Felines in Need, PO Box 2586, Wayne, NJ 07474 or Halfway Hounds, PO Box 132, Park Ridge, NJ 07656. 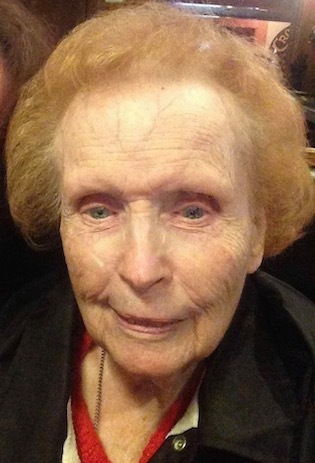 LORAINE WIECZOREK, age 89, of Saddle Brook passed on March 24, 2019. Loraine was the beloved wife of the late Thomas Wieczorek, loving mother of Monica Horvath and her husband Zoltan, and Thomas Wieczorek and his wife Patty, dear grandmother of Tiffany Roldan and her husband Manuel, Steven Wieczorek, Bryan, Christine and Rachel Horvath, and dearest great-grandmother of Sarai Roldan. She is also survived by her niece Eva Ann Croneberger. Loraine is predeceased by her sister Lillian Dzwonczyk as well as her brother-in-law Peter. Loraine was born in Jessup, PA and lived in Saddle Brook since 1957. Loraine was a member of the Saddle Brook Seniors and AARP and was a loyal and faithful parishioner of St. Michael the Archangel Church in Passaic, NJ and member of the Ladies Guild. She was also a volunteer member of the Hackensack Ladies Guild and sewn countless puppets for patients of the hospital. Gathering and visiting hours at Kugler Community Home For Funerals 311 Fifth Street Saddle Brook on Wednesday, March 27 7-9pm and Thursday, March 28, 2-4 & 7-9PM. Funeral mass at St. Michael the Archangel Church, Passaic, NJ on Friday, March 29, 2019 at 9:30 AM. Burial to immediately follow in St. Mary's Cemetery, Saddle Brook. Steven is the beloved son of Steven Sherlock and the late Maria Solla. He is survived by his sister Anna Rivera-Colón and her husband Luis, his nephew Cayden Colón, and his brother John Solla. He is also survived by his aunts and uncles Susan and Charlie Costanza, Bernadette and Joe Ferrante, Bobby and Kay Sherlock, Rafael and Jovita Figueroa, Carmen Figueroa, Gene Dacon and Rose Dacon, and his cousins Jasmine Thomas, Blake Costanzo (Ally), Ashley Costanzo, Austin Costanzo, Jimmy Ferrante (Lisa), Darlene Ferrante, and Michelle Melone (Ray). Steven was a big teddy bear to all who knew him. His family meant the world to him! He was a loving son, brother, uncle, nephew, cousin and a loyal friend. He was full of life and always seen with a dimpled smile upon his face. His deep profound laugh was contagious and he put everyone before himself. He loved football and shared many great memories of the glory days. To know him was to love him, he protected all those he held dear and he will be greatly missed by all. His heart ached for the loss of his mother, we are sure he is in her arms now surrounded by love. May his soul Rest In Eternal Peace with his mom and loved ones passed. Services and visiting hours at Kugler Community Home For Funerals, 311 Fifth Street, Saddle Brook on Sunday, March 24th from 2-6 PM. Funeral mass at Saint Anne RC Church, Fair Lawn on Monday, March 25th at 10:30 AM. Burial to immediately follow in St. Mary's Cemetery, Saddle Brook. Baby Girl “ACELYNN NOEL RIVERA” of Saddle Brook. Acelynn was born into life on January 20, 2019 and entered into eternity on March 19, 2019. Acelynn is the sweet little baby girl of Ashley Bradley and Moses Rivera. Cherished granddaughter of Mark and Nancy Bradley, Yolanda Alvarez, and John Rivera, baby sister of Jayden Rivera, niece of Mark and Meredeth Bradley and John Rivera and cousin of Madison Bradley. 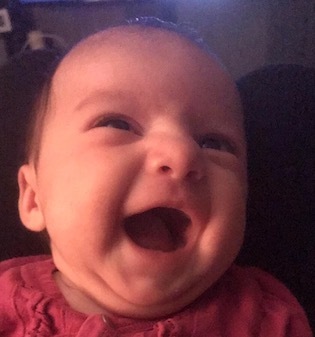 Gathering of family and friends for Baby Acelynn will be at Kugler Community Home 311 Fifth Street Saddle Brook on Saturday, March 23rd from 10:30am to 12 noon. Prayer services to be begin at 12 noon and burial to immediately follow in St. Mary’s Cemetery in Saddle Brook. Daniel Bautista, Kevin Bautista & other family members. Services and visiting hours at Kugler Community Home For Funerals 311 Fifth Street Saddle Brook on Friday, March 22, 2019 from 1-3 & 6-8 PM. Funeral mass at Sacred Heart RC Church, Rochelle Park, NJ on Saturday, March 23, 2019 at 10 AM. Cremation to follow at Cedar Lawn Cemetery, Paterson. MARIO NORCIA, age 86, of Garfield passed away on March 6, 2019. Mario is survived by his children Mary Jane and Joseph Norcia, and nephew Vincent Norcia and his wife Lisa, his great nephews Christian Norcia and his wife Erin, Brent Norcia and his wife Kerri, Stephen Norcia and his wife Daniella, his great niece Luana Norcia and his great-great nieces & nephews Alex, Julia, Grace, Spencer and Matthew. He is predeceased in life by his brother Nicola Norcia. Services from Kugler Community Home For Funerals 311 Fifth Street, Saddle Brook NJ. Visitation and gathering hours at the funeral home on Friday, March 8, 2019 from 4-8 PM. A funeral service will be held at the funeral home on Saturday March 9, 2019 at 10:15AM. Entombment to follow in St. Mary's Cemetery Mausoleum, Saddle Brook, NJ. 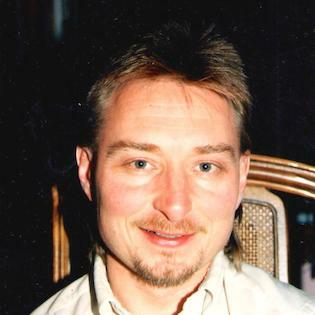 ALLEN ZAGAJEWSKI, age 61, of Saddle Brook passed on February 28, 2019. Allen is survived by his wife Jeannette Nelson, son Michael Nelson-Martin and brother John Zagajewski. He is pre-deceased in life by his parents Adolph and Helen Zagajewski and brother Michael Zagajewski. Allen worked as a rope man for Ken's Tree Service of Saddle Brook for many years and was a member of the Sons of American Legion Post 415 of Saddle Brook NJ. Services from Kugler Community Home For Funerals 311 Fifth Street, Saddle Brook NJ. Visitation and gathering hours at the funeral home on Sunday, March 3, 2019 from 2pm to 6pm. A funeral service will be held at the funeral home on Monday March 4, 2019 at 10:30AM. Interment to follow in Holy Cross Cemetery, North Arlington. ALEXANDER R. HNATKOW, age 92, of Edison passed on February 23, 2019. Beloved husband of 62 years to Dorothy (nee Glaus). Loving father of Matushka Alexandra Konyev and her husband Father George Konyev, Matushka Natalie Kosich and her husband the late Father Sergei Kosich, and Valerie Kline and her husband Rick Kline. Dearest grandfather of Katherine Kosich, George Konyev and Robert Kline. Alexander was born in Perth Amboy and lived in Edison, NJ for the last 55 years. He attended and is a graduate of the University of Alabama as well as California Institute of Technology (Cal Tech). Alexander was a Architectural and Civil Engineer and is a veteran of the Korean War serving with the U.S. Army and Army Corp. of Engineers. Services from Three Saints Russian Orthodox Church, Garfield. Visitation and gathering at the church on Monday, February 25th from 4 to 8pm. Parastas at 7:30pm. Funeral service from the church on Tuesday, February 26th beginning at 9:30am. 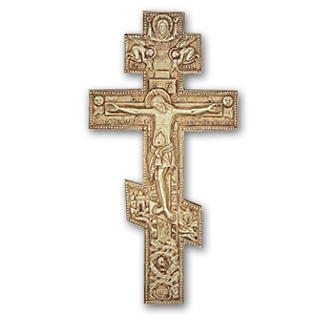 Interment to immediately follow in St. Vladimir's Russian Orthodox Cemetery in Jackson, NJ. LUIS A. PAGAN, 68, passed away Friday February 22 at 2:30 AM surrounded by family. He was born on April 20, 1950 in Guayanilla, Puerto Rico. He was a resident of New Jersey for 43 years. Luis raised his family in Lodi New Jersey and moved to Budd Lake New Jersey after retirement. He enjoyed landscaping and performing home projects. Luis is survived by his loving wife of 43 years Maria Pagan (Ortiz), his son Jason Pagan, along with his grandchildren Christian Pagan and Jayden Pagan. Luis is also survived by his sister Lydia Perez along with her family. Viewing is scheduled at Kugler Community Home For Funerals, Saddle Brook, on Sunday February 24 from 1 - 5 PM. Burial is scheduled Monday February 25 at 11AM at Lodi Cemetery, Lodi. 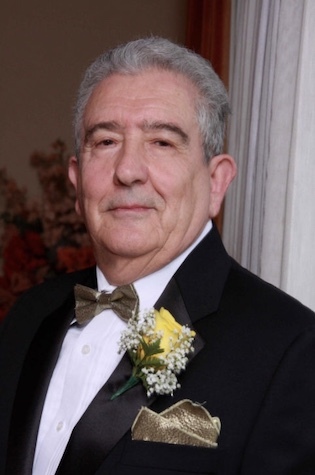 JOSEPH BONANNO SR, age 80, of Saddle Brook passed on February 7, 2019. Beloved husband of Concetta Bonanno (nee Brancato). Loving father to his three children Francesca Groth and her husband Ralph, Joseph Bonanno Jr. and his wife Cheryl and Lina Roeloffs and her husband Marc. Dearest grandfather to his six grandchildren, who he loved with all of his heart, Alexander and Jonathan Sheckfee, Daniel, Lauren and Olivia Bonanno and Noah Roeloffs. Joseph was born in Mezzojuso, Sicily and lived in Saddle Brook since 1960. He owned and operated Joseph Bonanno Custom Tailor Shop in Fair Lawn and then later in Wyckoff for many years, retiring in 2014. 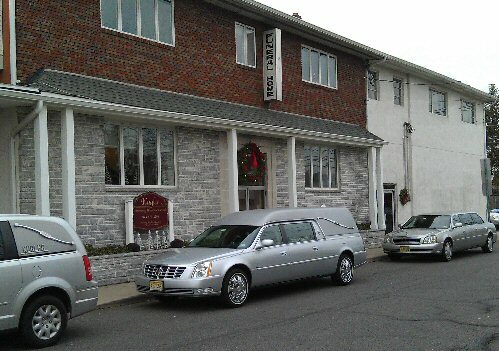 Funeral services from Kugler Community Home For Funerals 311 Fifth St. Saddle Brook. Gathering and visiting hours on Monday, February 11, 2019 from 4 to 8 PM. Funeral mass at St. Philip the Apostle Church, Saddle Brook on Tuesday, February 12, 2019 at 10:30 AM. Interment in St. Mary’s Cemetery, Saddle Brook. 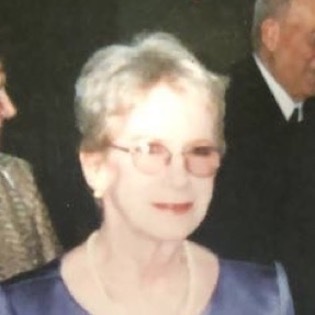 HELEN STUART (nee Millar), age 91, of Saddle Brook passed away on February 4, 2019. Beloved wife of the late Jerome Stuart. Loving mother to Stephen Stuart, the late Jerome Stuart, Nancy Brouca (George), Linda Stuart, Ellen Ames, Jean Stuart (Matt), and Ann Kurpick (Kevin). Helen is survived by 17 grandchildren and 14 great-grandchildren. She was a special grandmother to Sissy, Tiny (Jared), Mickey, and Buddy and a special great-grandmother to Avery Mae. Helen was a member of the American Legion Ladies Auxiliary of Rochelle Park and a life member of Saddle Brook VFW Post 3484 Ladies Auxiliary. Services and visiting from Kugler Community Home For Funerals 311 Fifth Street Saddle Brook on Sunday, February 10, 2019 from 2-6 pm. Funeral mass at St. Philip the Apostle Church, Saddle Brook on Monday February 11, 2019 at 10:30am. Interment to immediately follow St. Mary's Cemetery, Saddle Brook. ROCCO DiSTEFANO, age 94, of Saddle Brook passed on January 24, 2019. He is predeceased in life by his wife Antoinette. Beloved father to his four daughters Anne Brauer and late husband Robert, the late Lorraine DiStefano, Lisa Sturdy and husband Vincent, and Maria Faustina and husband Mark. 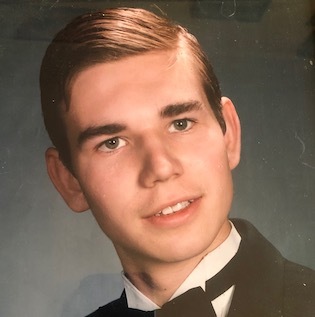 Rocco cherished his eight grandchildren, Brian, the late Michelle, Anthony, Angela, Ashley, Vincent, the late Shawn, and Alyssa, and his eight great grandchildren Mitchell, Matt, Chris, Ryan, Lacey, Anthony, Michelle, and Autumn, and many other beloved family members. Rocco was a member of the Arcola Methodist Church, as well as a founding member of Saddle Brook Chapter of UNICO, and was an officer of the organization for the majority of his active time. During his 52 years of membership, he served as Chapter President and District Governor of New Jersey District VII and he received the Cianci Humanitarian Award from UNICO National. He lived the motto of UNICO National, “Service Above Self”. He will be missed by all who knew and loved him. Funeral services from Kugler Community Home For Funerals 311 Fifth St. Saddle Brook. Gathering and visiting hours on Friday February 8, 2019 from 4 PM to 8 PM. Funeral services from funeral home on Saturday, February 9, 2019 at 10 AM. Entombment to follow at George Washington Memorial Park, Paramus. ELIZABETH ANN STEWART (nee Keough), age 83, of Saddle Brook, NJ passed on January 30, 2019. 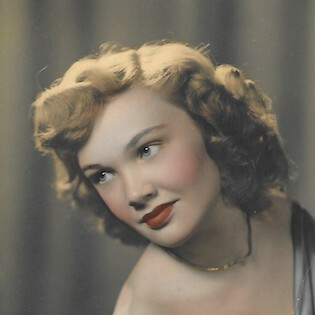 Beloved wife of the late Robert W. Stewart. Loving mother of her three children Dawn Stewart, Kelly Cue and her husband Kenneth, and Robert Stewart and her seven grandchildren Deborah, Brooke and Taylor Majkowicz, Maxwell and Cassidy Cue and Beth and Robert (Bobby) Stewart III. Gathering and services from Kugler Community Home For Funerals, 311 Fifth Street ,Saddle Brook on Friday, February 1st, 2019 from 3-7 PM, prayer services to begin 6 PM. Private cremation to follow. ANNA HADSHI, age 100 of Penacook, New Hampshire died on January 22nd, 2019. Anna, loving wife of Taliam Hadshi, passed away quietly at her nursing home. She is survived by her son Boris and his wife Anne. She is also survived by 3 grandchildren, Alexander and his wife Danielle, Catherine and her husband Christopher and Nicholas. Anna and Taliam met and married at a Displaced Persons camp in Germany following World War II and then immigrated to America in 1952. They settled in Paterson, NJ where they found a community of other immigrants from the Soviet Union, built a life together and lived the American dream. While her husband worked as a welder, Anna devoted her full time and attention to managing the home and raising their son. Anna enjoyed reading, music, dancing, attending Russian Orthodox church and spending time with her friends. Anna moved with her son to New Hampshire in 2011 and took up residence at John H. Whitaker Place assisted living facility, where she made many new friends. She will be missed by all who knew and loved her. Funeral services from Kugler Community Home for Funerals 311 Fifth Street Saddle Brook, NJ Tel. (973) 478-2500. Funeral service at Three Saints Russian Orthodox Church, Outwater Lane Garfield, NJ on Tuesday, January 29th 10am. Interment immediately following in Laurel Grove Cemetery in Totowa, NJ. In lieu of flowers donations can be made to the American Macular Degeneration Foundation, (www.macular.org). 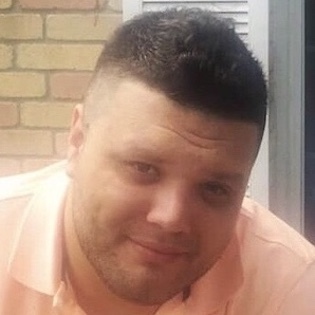 SERGEY KOLESNIKOV, age 36, of Newark passed unexpectedly on January 16, 2019 at University Hospital in Newark, NJ. Sergey is the loving son of Tatiana and Vladimir Kolesnikov and brother of Vladimir and Svetlana. 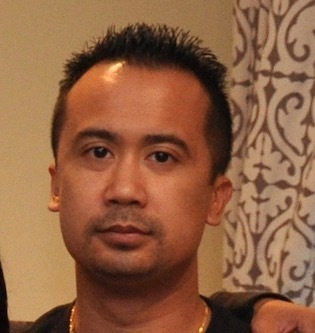 Sergey was a sales associate for Shop-Rite of Chatham, NJ. CONCETTA SANTA LUCIA (nee Turco) age 93 entered into eternal life on January 8, 2019 surrounded by her loving family. Connie was born on February 11, 1925. 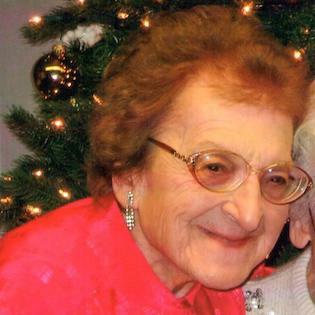 She was a resident of Garfield for over eighty years, and for the past thirteen years resided in Saddle Brook with her daughter Florence Mazzer. Beloved daughter of the late Florence (nee Corso) and Garfield Police Officer Michael Turco. She is predeceased in life by her husband Joseph Santa Lucia. Devoted sister to Antoinet Turco. Loving mom to Ronald Santa Lucia, Saddle Brook Council President Florence Mazzer (Emil Ciliento), Joseph Santa Lucia, Marie Santa Lucia, and the late Michael Santa Lucia (Debbie.) Proud grandmother to James Mazzer (Michele Roloff), Jason Mazzer (Denise), Melanie Volino, John Mazzer, Kerri Santa Lucia (Robert Hathaway), Chris Santa Lucia (Kelly), Jennifer Santa Lucia Micek (Michael), and Michael Santa Lucia Jr. (Brunella Paniagua Paz.) Proud great-grandmother to thirteen. Loved and adored by her extended Ciliento family. She is also survived by many nieces and nephews. Connie cherished her visits and chats with her loving friends Ria Wojdyla, Reina, Jim Mazzer, Pete LoDico, and Father Peter Palmisanno. Connie had a passion for music and her melodic voice would often fill our home and lives with happiness and joy. To know her was to love her. A special heartfelt thank you to Maywood Rehabilitation and Grace from Queen of Peace. Till we meet again, love you mom! 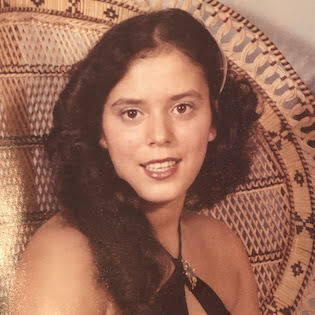 RUTH NORTON (nee Velebir) of Saddle Brook, passed away on January 1, 2019. Ruth is survived by her son Jason Norton and his fiancée Lena, her grandsons Christian and Brandon Norton, and her brother Andrew Velebir Jr. and his wife Linda Noordman-Velebir. Services and visiting hours from Kugler Community Home For Funerals 311 Fifth StreetSaddle Brook on Thursday January 10, 2019 from 4-8 PM. A Funeral Service will begin at the funeral home on Friday January 11, 2019 at 10AM. Interment in East Ridgelawn Cemetery, Clifton. A repast to further remember and celebrate Ruth's life will immediately follow at Que Pasta Restaurant 326 Market St. in Saddle Brook. DOROTHEA J. 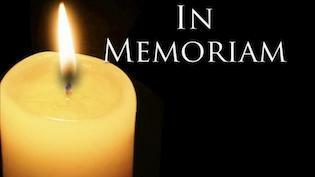 GRANT, age 96, of Saddle Brook died on January 6, 2019. Dorothea was born in NYC, NY and lived in Saddle Brook since 1956. She was a former cashier working at Child World of Paramus, NJ. She is predeceased by her husband James I. Grant. Dorothea is survived by her daughter, Deborah Grant, her son James Grant and his wife Georgia, her granddaughters Stephanie Grant and her fiance Dr. John Roe, and Lindsey Parish and her husband Robert, her great-grandson Nolan Parish, and her long-time friend Patricia Nicholson. Dorothea was pre-deceased by her sister Helen Blanchard and her brothers John, Donald and Kenneth Birmingham. Services and visiting from Kugler Community Home For Funerals 311 Fifth Street Saddle Brook on Wednesday, January 9th from 4 to 8pm. Funeral mass at St. Philip the Apostle Church, Saddle Brook on Thursday January 10th at 10:30am. Interment to immediately follow in George Washington Memorial Park Cemetery, Paramus. STEPHEN A. LISZEWSKI (93) died January 1, 2019 at Sunrise Senior Living, East Brunswick, NJ. He was born March 27, 1925 in NYC to Lucian and Gertrude (Sieniawska) Liszewski. A scrappy first generation American, Steve grew up with his sisters Hedy Ward (deceased), Sophie Sokol (deceased), and brothers Alex (deceased) and Stas on the lower East side of Manhattan in its Polish enclave. He proudly related that its tough environment and a nearby Boy’s Club instilled in him a “can-do” attitude which served him as a Seabee in the US Navy during WWII and later as a provider to Frances (deceased), his first wife and their four children: Rick, Bob, Steve and Lori (Marshall). He was an avid believer in always being active and became the Boy’s Club All City Wrestling champ in his weight class. He and his brother, Stas, would swim across the East River with their friends. His children fondly remember the various skills their street-wise Dad acquired as he continued to meet the demands of his growing family. He became whatever was needed to provide for them: plumber, roofer, sider, car mechanic, barber, landscaper, swim and dance instructor and, most importantly, life coach. Often, he unselfishly used his DIY skills to help family members and others to complete their own projects. Through these endeavors and his association with St. Philip’s Holy Name Society (President Emeritus), the VFW Post 3484 in Saddle Brook and the Seniors Club of Saddle Brook, Steve touched many lives. A member of “America’s Greatest Generation”, Steve was a regular participant in Saddle Brook’s annual Memorial Day parade and wore his actual WWII uniform which he had proudly maintained since his discharge from active duty. In 1986 Steve married Virginia Wasek, a widow with 5 grown children: Bunny (Jaskot), Peter, Ray, Richie, and Sue (Oswald). Their shared love of family, their Polish ancestry, and dancing has yielded a marriage full of family gatherings, travel, and, of course, music and dancing. Steve and Ginny have taught line-dancing to scores of people, young and old, throughout their union. Steve is survived by his wife, 19 grandchildren and 17 great grandchildren. Visiting hours are Friday, January 11th 4-8pm at Kugler Community Home For Funerals 311 Fifth St. Saddle Brook, NJ. Funeral mass on Saturday, January 12th 10:30am at St. Philip the Apostle Church, Saddle Brook. Burial to immediately follow in St. Francis Cemetery, Lodi, NJ. 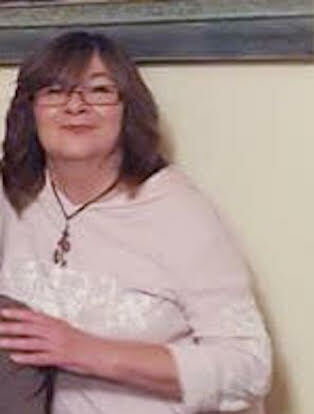 MARIA V. SOLLA, age 56, of Fair Lawn, NJ passed unexpectedly at Valley Hospital, Ridgewood on January 5, 2019. Maria was born in Dover, NJ and lived in Fair Lawn for the past 25 years. Maria was a former Accountant for Gift Box Corp. of America. She is survivied by her daughter Anna Rivera, her sons John Solla and Steven A. Sherlock, her life partner Steven Sherlock, her brothers Gene Deacon and Rafael Figueroa, her sisters Rose Deacon and Carmen Figueroa, her grandson Cayden Colon, and her niece Jasmine Thomas. Maria was predeceased by her parents, Antonio and Joyce Figueroa and her brother Michael Deacon. Services and visiting hours at Kugler Community Home For Funerals 311 Fifth Street Saddle Brook on Tuesday, January 8 from 4-8pm. Funeral mass at St. Anne Church, Fair Lawn on Wednesday, January 9 at 9:30am. Cremation to follow at Cedar Lawn Cemetery, Paterson.